Singapore’s largest Japanese Incubation Office, CROSSCOOP SINGAPORE (80 Robinson Road), has been providing support to Japanese companies expanding into Southeast Asia. The number of companies that used CROSSCOOP SINGAPORE as a base to foray into Singapore has surpassed the 100 mark as of 27 April 2013, since its opening in July 2011. Company Representative, Shoji Motofumi, commented as follows. “As the target was to assist 100 companies in two years, I am glad that it was achieved two months ahead of schedule. In recent years, Japanese companies’ forays into Southeast Asia have been accelerating amidst the increasing attention of Southeast Asia as a consumer market arising from the reputation of Southeast Asia as a production base. Many companies are advancing into Singapore and I think it is evident that many Japanese companies see it as the headquarters (Hub) of Southeast Asia. In addition, from the fact that, out of approximately 1,400 companies registered in the Directory of Japanese companies in Singapore – WESLEY2012, published by WESLEY PUBLISHING CO., PTE LTD, and 764 registered members of the Japan Chamber of Commerce and Industry of Singapore (as of March 2013), we are involved in the assistance of 100 companies in their expansion in Singapore within the one year ten months since our opening, proves that the establishment of an Incubation Office, providing globalization support and the value of the services offered, was appropriate. The pace of new occupancy remained almost unchanged since the launch in July 2011 (4-5 companies monthly). 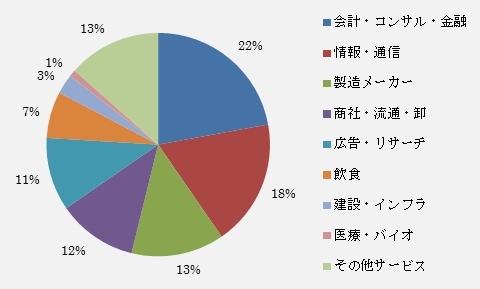 Impact of Foreign Exchange does not greatly affect the trend of Japanese companies moving in. ※ Accumulated value, including companies that have grown and “graduated” from our Incubation office. 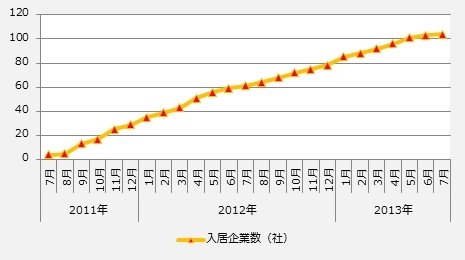 ※ Including companies that have finalized decision to join in May, June and July 2013. With the increase of companies advancing into Singapore, there are many occupants in industries providing support to companies going global, such as Accounting and Consulting firms (22%). Followed by, Information and Communication (18%), Manufacturing (13%), Trading and Distribution (12%), Advertising and Research (11%). 90% of the persons-in-charge of setting up the company are Japanese. 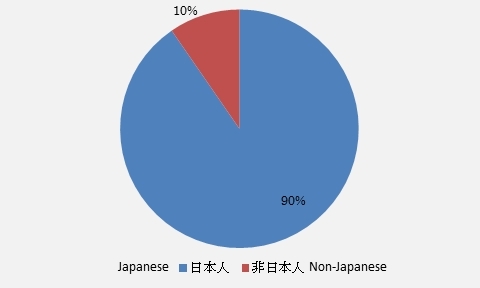 It is often the case that the persons-in-charge of the subsidiaries and overseas business units of Japanese companies are still left to Japanese people. In Tokyo, offices are established in Shinjuku, Aoyama and Roppongi. Abroad, starting with the Singapore office opened in 2011, it has expanded its offices all over Asia, in Jakarta, Ho Chi Minh, Manila and Delhi. A Serviced Office that comes with high speed internet, bilingual staffs providing Japanese quality secretarial services and in which you can start business operations with just a personal computer within the same day you move in. Every office offers an environment where you can focus on your business without stress. In addition, we make full use of the company’s Asian network and information network to provide support for global companies’ expansion into both Southeast Asia and Japan, providing the infrastructure for smooth cross-border business expansion.